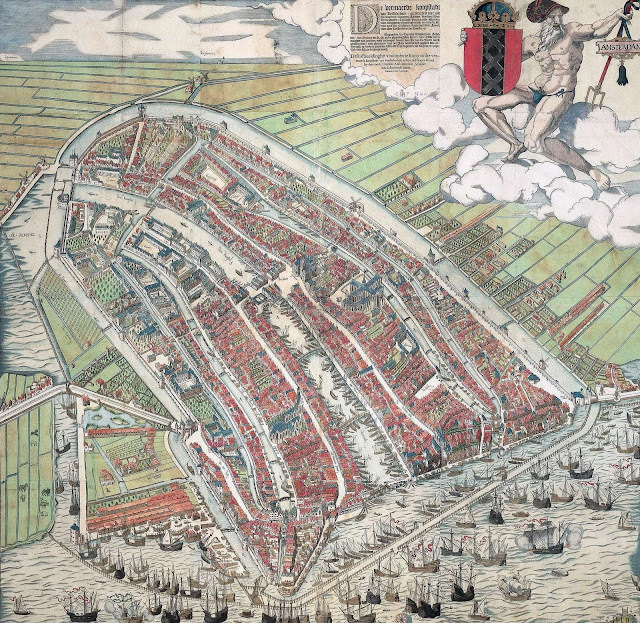 Cornelis Anthonisz - map (bird's eye view) of Amsterdam, 1544. The city is shown within its first city walls. This is the city before the construction of the semi-circular ring of canals (click to enlarge).